With options to suit every budget and with prices starting from just £129, why not book a Sphinx Quiz for your next corporate away day, Christmas party or team building treat? Contact our team to plan your ideal day. 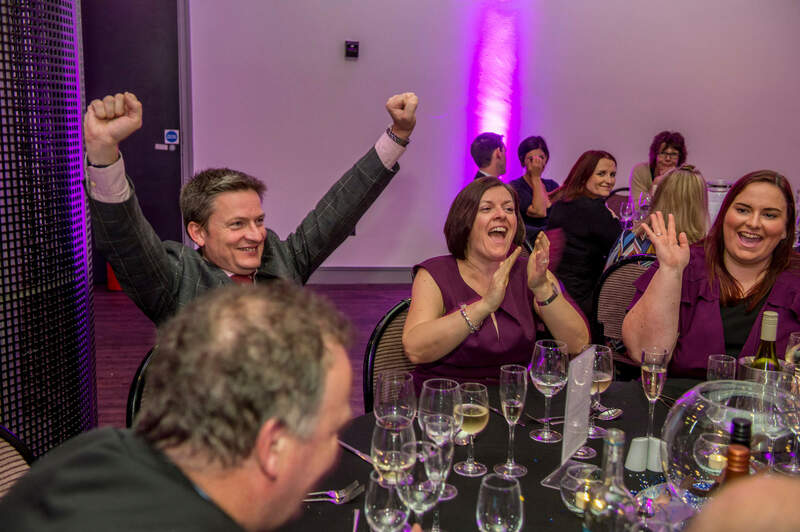 Everything from special quiz rounds and presenting awards through to electronic tablet hire, catering and more can all be arranged to ensure the event you're planning is the event you get. Our dedicated team have a proven track record of delivering exceptional corporate events for a wide range of clients. Get in touch and let us help you plan your next corporate event. boombox bingo © is also available for hire for corporate events, weddings and parties - Click here for more info. "It really got everyone involved. It was varied and really fun...would definitely recommend this highly!" "Well organised, entertaining, funny - I can't recommend Sphinx Quizzes enough!" "The team really enjoyed it - and got way too competitive! People are still talking about it now!" "Well organised with a fantastic host, what great fun! Highly recommended!" "Sphinx Quizzes provided an excellent quiz for our client event. The host made the evening the success it was." "Well organised, great host... a collective thumbs up, you won't be disappointed!"